Notts' T20 captain Dan Christian has capped another triumphant Australian campaign by being named Melbourne Renegades’ Player of the Season. The all-rounder, who is returning for a fourth season in green and gold this summer, was ever-present for the Renegades in this year’s BBL. Christian’s 254 runs and 15 wickets were instrumental in the Renegades landing the title. He was named Player of the Match in both the semi-final and final, scoring 31 off 30 balls against the Sydney Sixers to steer Renegades into the tournament climax, before his 38 not out off 30 balls and figures of 2-33 with the ball helped his side past Melbourne Stars to claim their first T20 title. 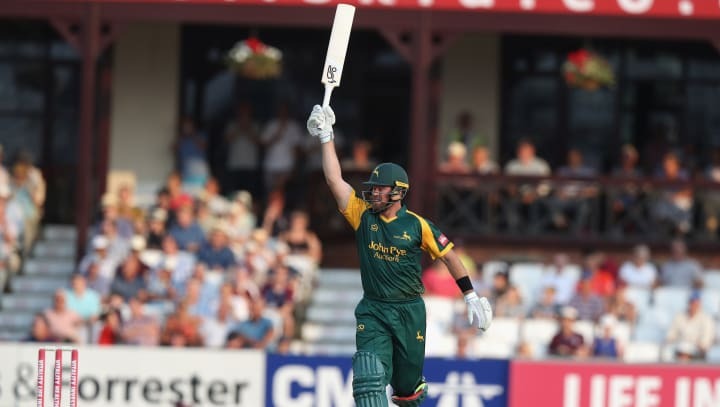 The 35-year-old has now amassed seven T20 championships across an illustrious limited-overs career, including the T20 Blast title he led the Outlaws to in 2017. His white-ball talents have seen him in high demand across the globe, but he has represented Notts more than any other team, scoring 1163 runs at 36.34 and taking 27 wickets at 35.48 in the Blast.